The Senior Care Center located at 31 Prospect St. was originally housing for the elderly funded by the city of Gloucester, Massachusetts. The project was undertaken by Govenor Francis W. Sargent who held that position from 1965-1979. The site is now operated by SeniorCare, Inc., a grassroots agency for the health and support of the elderly started in 1972. 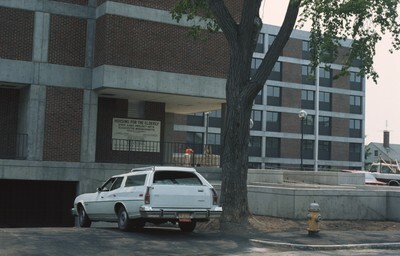 Smolski, Chet, "Gloucester- Prospect St. Housing" (1976). Smolski Images. 225.